Adeltrude Kanyamibwa was widowed when her partner, Jean de Dieu Kanyamibwa, was killed by a group of Rwandan “Interahamwe” rebels. As a Senior Ranger working in Virunga National Park Jean de Dieu was responsible for the patrol post at Kinyonzo. In November 2002 he went from the post to buy food at the neighbouring village and on his return dismounted from his bicycle to climb the Kasos hill where, at the top, he stopped to rest. Suddenly the rebels surrounded him and because he was identifiable as a Park Ranger he was tortured to death. He left a family of four, three boys and a girl and their mother Adeltrude. Park Rangers face many kinds of dangers in their line of work due to conflicts of interests and competition for the natural resources they try to protect – so sadly Jean de Dieu and Adeltrude’s story is one of many. PRWOP and Renew work towards enabling as many of these widows as we can to form groups in the different villages. These groups meet to decide what kind of work would be suitable and sustainable for the women in their areas, such as sewing, raising livestock or milling. 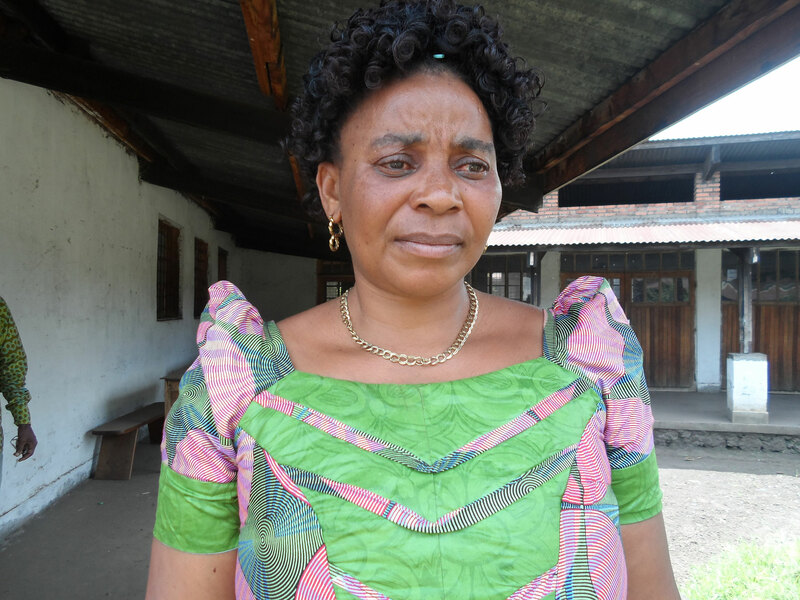 In Adeltrude’s group, they have elected their own board on which she is the Treasurer along with seven others. In 2015 the project supported this group with funds to attend training for sewing at a local training centre and gave assistance towards the initial outlay for materials and equipment. This assistance has enabled Adeltrude and the other women to make dresses and school uniforms to sell to gain income to support themselves and their children. This income is vital in order to pay for food, shelter, medical care and school fees. There are eight other villages with potential groups being formed but all of the women face the challenge of making their sources of income sustainable. Adeltrude’s group would like to expand into soya or peanut milling to produce cooking oils as a means of diversifying and complimenting the sewing orders they receive. If funding or investment can be found to assist them then their collective journey towards sustainable independence can be achieved.